MacPaw’s bold subscription-based app marketplace offers an easy way to discover a variety of curated apps and utilities. 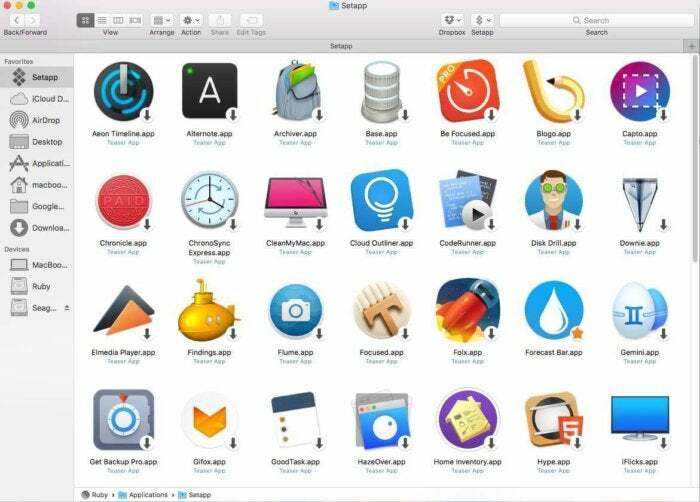 MacPaw, the company behind the famous CleanMyMac hard drive cleaner, has launched Setapp, a subscription-based alternative to Apple’s Mac App Store. With Setapp, a single subscription currently lets you access more than 60 curated Mac apps for a $9.99 fixed monthly fee. MacPaw says it will eventually offer up to 300 apps for that price, as new apps will be added every month. While I was quite familiar with MacPaw’s own CleanMyMac, as well as assorted other popular apps like ChronoSync Express, Hype, Polarr, RapidWeaver, Ulysses, and XMind, there are many others in the suite I’m hearing about for the first time. Teaser apps get deposited into a folder within your Applications folder, but you have to download them individually first in order to use them. 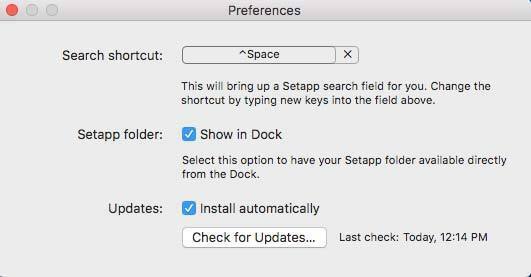 Getting started with Setapp is easy and free for a one-month trial period, during which time all apps are completely operative. You’ll need to first register on the site, after which the desktop app is available for download. If you don’t cancel your subscription during the trial period, your will then pay $9.99 per month for access to all available apps. After downloading Setapp, the package of 61 apps (to date) is immediately available from the Finder Sidebar and a pulldown menu on the Mac’s main menu bar. Preferences let you place the Setapp folder in the dock, where clicking on it reveals all the teaser apps inside—icons in the folder represent the apps available for download. 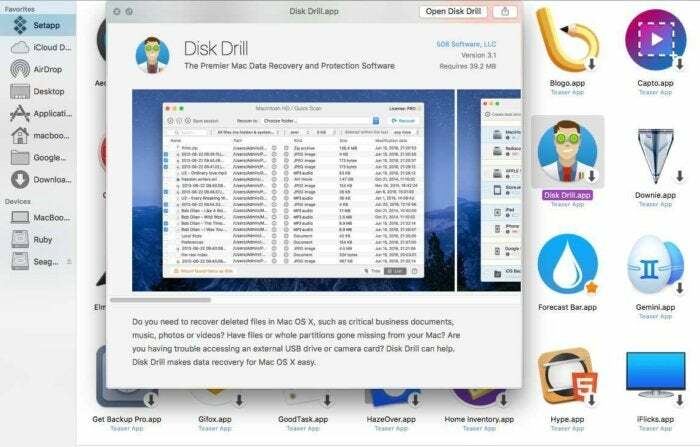 There are many apps that I had never heard of, like Disk Drill, Downie, Capto, and others. MacPaw throws in a couple of its own apps, too—CleanMyMac and Gemini 2—but not all of its apps are part of the Setapp collection. Quick View gives you the lowdown on each app in the folder, based on its own description. Apps in the Setapp folder are also displayed in Launchpad and can be located via Spotlight search. Once launched, they also appear in the Applications folder, just like your other apps. If you’re not familiar with all the apps, no problem: From the menu bar, you can search for categories like Writing, Video, Photo, and Brainstorming, and mostly, related apps will appear in the results. You can choose to access all Setapp apps from the dock. To check out an app before downloading it, just click and hold down the space bar for a Quick View of any app. If you want to try it, click the Open button on the preview pane. The app will instantly launch on your hard drive and appear in the dock. 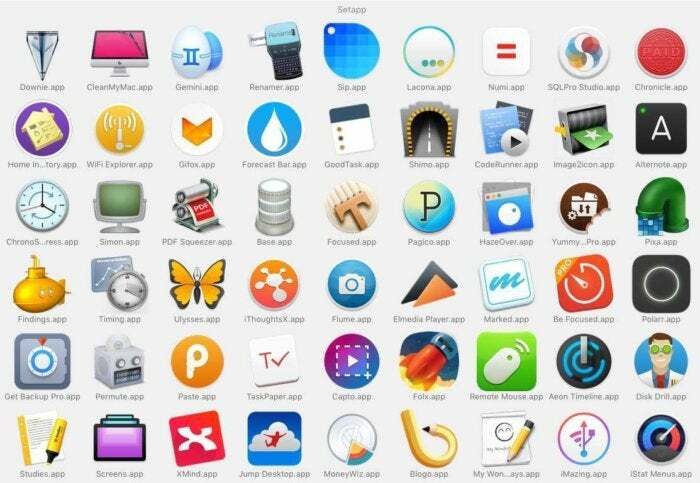 Apps are distributed among categories like productivity, video, developer tools, utilities, finance, graphic design, and others. You do not have to use Setapp to get free trials for many of the apps in the suite. Each tile lists the developer’s website, and a quick spot check revealed that many offer free trials individually. However, Setapp’s major selling point is discovery and the curation of high quality apps. But what if something goes wrong, say a vendor no longer wants to be part of Setapp or the company wants to remove a featured app? 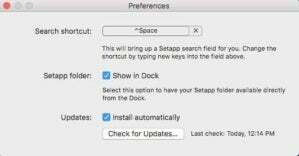 Those decisions will not stress users, MacPaw says. If you downloaded an app from Setapp, it will remain available, even if the developer decides to leave the service. If an app is not doing well and Setapp decides to eliminate it, apps that have already been downloaded will remain available on your Mac, though they will not be updated. Should you decide not to subscribe after the 30-day trial period is up, you will see only teaser apps, but won’t be able to open apps from the Setapp folder. The suite’s ultimate strength is the sum of its individual parts. It broadens horizons, introduces you to apps you may not otherwise hear about, and cuts the time required to search the Mac App Store for just the right app for your needs. Apps are available without additional charges, paid updates, in-app purchases, or ads. I highly recommend taking the time to check out Setapp, risk free.